An article in the Sunday New York Times stokes fears of anti-Semitism from the right, yet ignores the more dangerous variety that emanates from the left. In this world, where we are trying to eliminate racism, misogyny, homophobia and more, it is time to include the age-old hatred of Jews as well. When the movement asks us to prove we are Good Jews by taking personal responsibility for everything Israel does, we oblige, and wear our Jewishness full to the brim with shame. Suddenly, mainstream culture is finding cover for the age-old hatred of Jews. They’ve figured it out. So long as the attack is lightly-battered and flash fried in a light coat of anti-Israel sentiment, and as long as you pretend you are fighting for “human rights,” the rise of anti-Semitism is socially acceptable. It shouldn’t be. It’s can’t be. Not again. 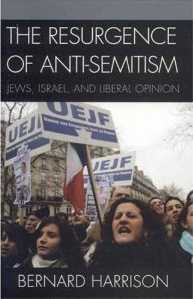 Antisemitism means discrimination and hatred against Jews and Israel. Requiring of Israel a behavior not expected or demanded of any other free and democratic state – is antisemitism. Seventy years after the liberation of Auschwitz, violence and hatred against Jews is on the rise, especially in the Middle East and among Muslims in Europe. 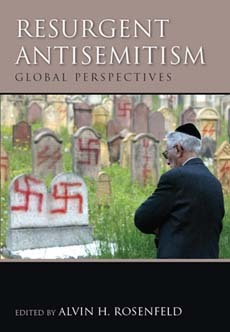 This report also documents a continued global increase in anti-Semitism. Holocaust denial and glorification remained troubling themes, and opposition to Israeli policy at times was used to promote or justify blatant anti-Semitism. When political leaders condoned anti-Semitism, it set the tone for its persistence and growth in countries around the world. Of great concern were expressions of anti-Semitism by government officials, by religious leaders, and by the media, particularly in Venezuela, Egypt, and Iran. At times, such statements led to desecration and violence. Turn this vile claim on its head by Chas Newkey-Burden, The JC, July 27, 2012: Why the “they-of-all-people” argument is not only condescending and unjust, it’s as anti-Semitic as Holocaust denial. [T]he West’s ability to ignore the Arab world’s pervasive anti-Semitism means it consistently fails to understand the most basic problem facing Arab countries. [….] Arab anti-Semitism matters so desperately – not because of the threat it poses to Israel, though that is real, but because of the threat it poses to Arab countries’ own development. The Suicidal Passion: Who is damaged more by anti-Semitism — Jews, or those who organize politics against them? by Ruth R. Wisse, The Weekly Standard, Vol. 17, No. 10, November 21, 2011. [W]hether aimed at the Jews in their dispersion or in their homeland, anti-Semitism and its offshoot anti-Zionism are about the Jews only in the way that fox hunting is about foxes. Those who organize their hunt around the fox consider it the best animal to hunt. Important as it may be to identify those features in the swift little animal that make it the chosen target of those giving chase, any analysis of fox hunting must concentrate on the hunters—their motivations, strategies, implements, goals, and perceived gains. [….] Anti-Semitism is a political instrument—a strategy, an ideology, sometimes a movement that organizes politics against the Jews. The Ottawa Protocol to Combat Anti-Semitism is a template for every Canadian to consider. But it is especially a document of significance for universities that have allowed themselves to become vehicles of hatred and complicit in its promotion.